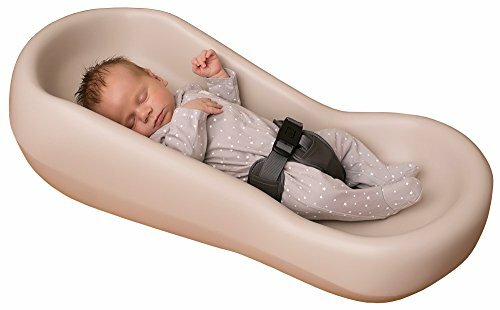 "Designed to be used by infants aged newborn to 6 months, The Keekaroo Snoozer is unlike any other infant sleeper! Made from our cushion technology, the easy to clean Snoozer is durable and stops bacteria growth. The angle is perfect for acid reflux reduction and your baby's first observations of their world! The made in the USA Keekaroo Snoozer™, makes nap time a breeze! The soft, ergonomic shape gives your baby a safe, comfortable napping surface."